Blink Marine.The company whose innovation meets simplification. 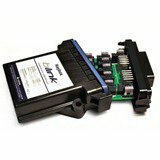 Blink Marine is the expert company for CAN based digital switching solutions. 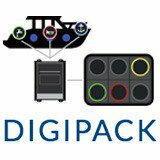 Blink Marine‘s mission is to expand its influence in the market for CAN-bus keypads, offering not only a product of the highest technological standards, but also a 360° consultancy in the integration of HMI (human machine interface) with digital vehicle systems. Convention means average, impossible means potential. We would not be able to do what we do so well if we were not constantly striving for the future. For us innovation is something more than just a corporate value, it is a way of looking at things. It is really important to see every “it cannot be done” as an opportunity. The art of generating more value for less effort. Many of our customers are in different markets, all with various needs. So, how do we satisfy everyone? One very important aspect: simplification. Simplification for us means versatility as well as meticulous attention to our clients’ needs. Blink Marine is a lightweight but durable company: just like our CAN-bus keypads, we can fit around our clients – from a small, dynamic company to a renowned multinational. You can trust us when we say that working with us is very time – and effort- saving. Blink Marine was founded in 2003 with the purpose of providing high-tech solutions for the world of sailing. 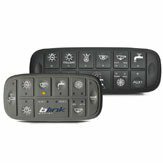 The digital keypad PowerKey is the first product Blink Marine offered to the European and world market of pleasure boat builders and fitters. In a market such as nautical, where quality standards are unmatched, PowerKey was immediately hailed as a benchmark both in terms of elegance and robustness, which enable it to blend in to the cockpit design, even outdoor where the actions of water, salt spray and dust is so relevant. In 2006, Blink Marine launched a new product: the PowerKey Pro (PKP) which equalled the standard PowerKey while increasing its versatility thanks to the innovative system of removable inserts that allow for a high level of customization. 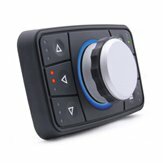 In 2013, with the implementation of CAN-bus protocol, Blink Marine offered PowerKey Pro to new markets: Industrial Automotive and off-highway vehicles. Today Blink Marine is a player increasingly sought after for its services and components that are capable of improving performance of its products, thanks to a combination of professional skills and technological means. 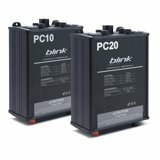 As well as having established itself as a distributor of components for its customers, Blink has become a real benchmark in expert advice. Today Blink Marine is an increasingly sought-after partner for its ability to provide customer services and components that are capable of improving product performance, by combining professional expertise and technological means.